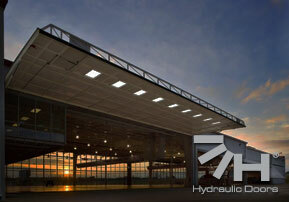 Why replace old or inefficient hangar doors with The Hydroswing®? 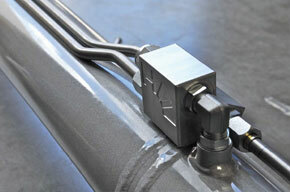 Here at Hydroswing® we believe we off the best possible door for the price. From the quality of finish that you can see to the x-rayed welds you can't, we we combine our ISO 9001 quality assurance with an upgrade that earn you money back in saved energy costs through our amazing sealability and our door's ability to carry insulation to almost any thickness. 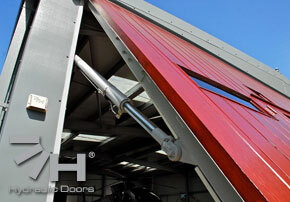 With little to no annual servicing, our customers rarely need us until they are ready to order an additional door! 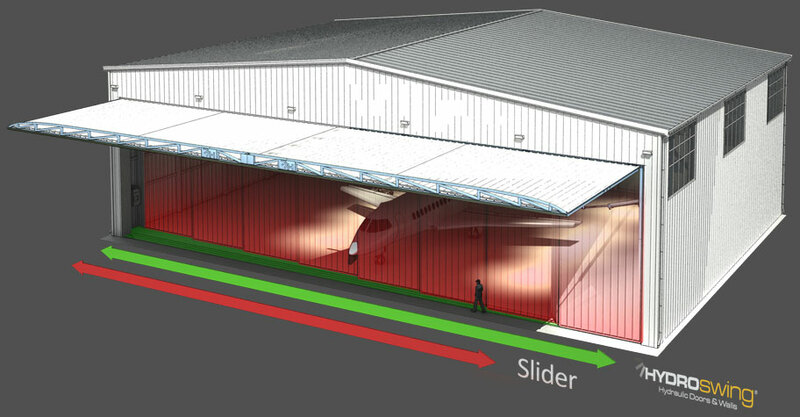 Select which type you would like to replace and see the gains from replacing old, dangerous and worn out hangar doors with the Hydroswing® Hydraulic Door. 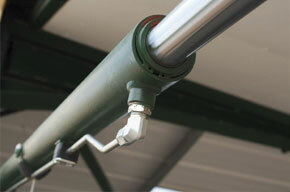 Each of these door types have been replaced by a Hydroswing® retrofit. 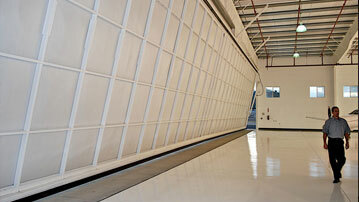 "Remember we can literally move walls"
We proudly have over 7,000 hydraulic doors in service!